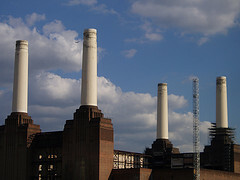 This entry was posted in Battersea Power Station and tagged 2009/3576, battersea, Battersea Power Station, Battersea Power Station Community Group, cameron, chimneys, planning permission, Real Estate Opportunities, Regeneration, Treasury Holdings, wandsworth borough council by Greg. Bookmark the permalink. That proposed exisoetnn is a gobsmacking example of the developer’s sense of self-importance.A bizarre lengthy right-angled spur which fails to stop anywhere useful between Kennington and Battersea, and no attempt to extend the line beyond Battersea to provide much-needed tube connections in southwest London.It’s just a me me me attempt to attach themselves limpet-like to the tube network, and stuff any benefits to anyone else.It’ll never happen.